GeoBlue has an elite network of doctors from most every specialty ready to see you in over 190 countries. Only a small fraction of doctors around the world meet GeoBlue’s exacting standards—participation is by invitation only. We seek out professionals certified by the American or Royal Board of Medical Specialties who speak English, and we factor in recommendations by over 158 Physician Advisors from all over the world. GeoBlue offers plans to cover both short term and long term needs. If you are a group or company with business that takes your employees overseas we can help you obtain the proper coverage for your company. Choose from the appropriate category below and find out more about the plans that are offered by GeoBlue. When you are ready you simply apply Online or coverage. If you have questions give us a call (619) 435-6700. Why Do I Need International Coverage? Residency Clause with your primary plan - Your existing group or individual U.S. health insurance plan is likely to have a disclaimer stating that coverage is no longer valid after six months residency outside the U.S.
Health and Financial Security - If you leave home for six months or more, your health and financial security are at serious risk because of significant gaps in most available insurance coverage. If you leave home for six months or more, your health and financial security are at serious risk because of significant gaps in most available insurance coverage. Health and Safety Hazards - This risk is only heightened by limited knowledge of health and safety hazards around the world, including medical treatment from unfamiliar providers. Specialized Coverage Abroad - Many International health plans combine comprehensive worldwide benefits with a new generation of medical assistance services that include an impressive array of Online tools used to identify, access and pay for quality healthcare all around the world. Most International health plans are designed to support the international lifestyles of those who travel to or from their home countries, including the United States for extended periods of business, leisure and study. Residing or traveling for a short term period outside your country of citizenship may create challenges to your current health care program. Brief trips expose you to risks which may not be covered by your current domestic health insurance plan. It is prudent to procure International Health Insurance coverage prior to leaving your home country and traveling abroad. In addition some countries you may be traveling to may require proof of coverage as a condition to your visa. When you are traveling abroad and your coverage needs to provide benefits for things such as Sickness, Accident and Medical Evacuation. Most domestic plans do not cover medical evacuation which can cost as much as $250,000 or more. In addition you will also need more than insurance. You will also need knowledge, information and safety resources that will help keep you safe and health. GeoBlue Voyager is a short term travel health insurance plan that includes services to help you identify, access and pay for quality healthcare. GeoBlue Voyager fills health and safety gaps internationally. GeoBlue Trekker is a short term health and accident insurance for Multi-Trip International Travel. GeoBlue Trekker provides the traveler with international health insurance for multiple trips throughout the year. It is also a complete package of services to help you identify, access and pay for quality healthcare anywhere in the world. GeoBlue Xplorer plans cover you inside and outside the United States. The GeoBlue Xplorer Premier and Essential health plans are designed to support the international lifestyles of those who travel to or from the United States for extended periods of business, leisure and study. If you leave home six months or more, your health and financial security are at serious risk because of significant gaps in most available insurance coverage and services. the risk is only heightened by limited knowledge of health and safety hazards around the world, including medical treatment from unfamiliar providers. GeoBlue Xplorer Premier is the ultimate international health plan because it combines comprehensive worldwide benefits with a new generation of medical assistance service, which include and impressive array of Online and Mobile tools used to identify, access and pay for quality healthcare all around the world. GeoBlue Explorer Premier gives you freedom to access care inside and outside the United States. 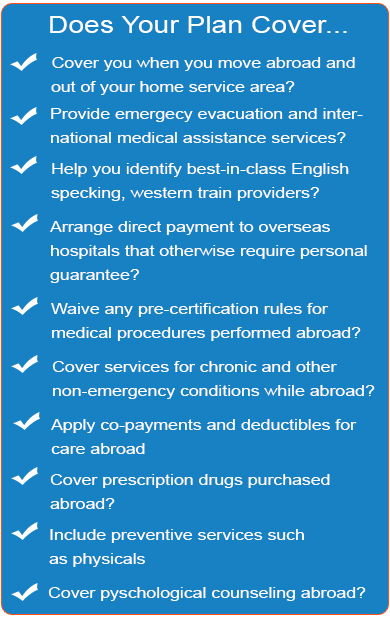 If you need benefits outside the U.S. only, GeoBlue offers a variation called the Explorer Essential Plan. The Essential plan eliminates coverage within the United States and it's territories and this lighter coverage comes as a much lower price point as well making it very attractive for those who simply do not have the need for coverage within the United States. Today more and more people are accepting assignments abroad. These International opportunities can be exciting for those who choose to accept them. More and more U.S. Based Employers are seeking answers to their needs to grow in a global way. What does the employer do for those employees who accept an overseas assignemt? 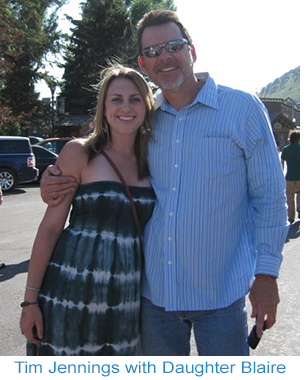 There is a huge list of things that need to be accomplished prior to your families departure. Exploring proper Internatonal Health Insurance coverage is just one of the items on your list. To be sure many employers seek the best possible plans for their people but the topic in of itself can be a bit confusing. That is why we are here to help. The GeoBlue Xplorer Plans are simply some of the best plans available today. GeoBlue is the trade name for the international health insurance programs of Worldwide Insurance Services, an independent licensee of the Blue Cross Blue Shield Association. GeoBlue health plans are offered in cooperation with certain local Blue Cross and Blue Shield companies, with a network that includes more than 90 percent of physicians and 80 percent of hospitals across the U.S. GeoBlue’s comprehensive portfolio of international health insurance plans demonstrates the commitment to covering members both at home and abroad. Since 1997, Worldwide Insurance Services has been dedicated to helping travelers and expatriates identify, access and pay for quality healthcare, all around the world. Sold in connection with certain Blue Cross and Blue Shield companies, each GeoBlue policy is U.S. licensed and offers the most complete set of benefits and services in the industry. If you or family members are planning to travel or live outside the borders of the United States then GeoBlue is your first choice for health insurance planning. If you own a company that does business Internationally and your employees travel and live outside the borders of the United States and you want the comfort of having your people insured by a U.S. Licensed company then you will want to explore options for your company.